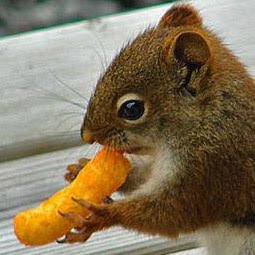 Cheetos for Breakfast: Bear With Me . . . I come in peace. I feel no enmity between your people and mine. I understand that we have invaded your Happy Hunting Grounds and therefore you have no need to respect boundary lines nor fence posts nor restrictive covenants regarding the keeping of livestock or wild animals of any kind. I understand that you are likely hungry and we humans seem to have the goods. We humans set out seeds for your gastronomical pleasure and bags of garbage to provide you with a satisfactory trash-picking experience. Not only that, but we even provide you with decks to climb, hot tubs for your bathing needs, and play structures to keep your wee cubs entertained. I like you. But I have a problem. You see I have dogs and my dogs have noses. And, seeing how you don't seem to have discovered the joys of Dry Idea or Speed Stick, my dogs can smell you from what seem to be miles and miles away. Sometimes their sniffing starts out quietly and slowly. In the middle of the night it usually begins with a breathy "Hhhmph" followed by a growl and a large sniff and then another "Hhhmph" or two—or ten. So I am partially awake before the all out I Must Alert The World That We Are Being Invaded By Alien Beings bark sets in. Other times there is no warning and I must peel myself off the ceiling and hope my pulse, that just tripled from the sudden Alert The World barking, will slow down some time this week. Just this morning, dear bears, your presence set in motion a chaotic domino effect that ended with one sleep-deprived people-teen yelling out the window for the canines to SHUT UP! You may have heard about not waking sleeping bears. The same applies to sleeping adolescents of my species. To awaken such a sleeping monster is a foolish and dangerous thing, indeed. I understand that this is all part and parcel of living in the mountains, or more particularly, living with dogs in the mountains. I don't have anything against your being here. What I do have a problem with is the fact that, no matter how much my dogs are sniffing and barking and trying to save the planet, I don't see you. And I like seeing the source of the chaos. It is kind of like traffic jams. I understand that this might be totally lost on you bears, but we humans, when we get stopped in traffic on the highway and move at a snail's pace (or a sleepy bear's pace) for a mile or two and end up being late to the dentist because of it, we like to see WHY we were held up. There is something SO darn frustrating with never seeing the source of the jam. This is the same case. If my dogs are barking themselves into a frenzy over you, I want to see you. You are fun to look at. In fact you are just plain cute. And, by the way, your babies look as if they were plucked from off the assembly line at the Gund factory. So, this is my plea. Stand up and show yourselves. If necessary, just come and ask for food. I can understand the word "please" in five languages (six if you count Pig Latin) and am always happy to oblige. I currently have on hand some stale "everything" bagels, week old baked beans, and popsicles purchased last January to sooth a sore throat, and I am ever so willing to share. So from now on, I am happy to share my chunk of the planet with you. I will try to be a good neighbor. But don't be shy. Show up every once in a while. And the pups will thank you, too. Dogs barking at bears are more tolerable and endearing to their owners than dogs barking at air. The least you could do is provide us with a wee bit of entertainment.